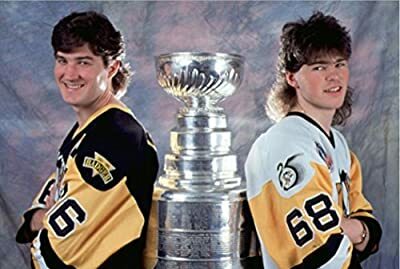 Click to choose a Size: -- Choose Size -- 11" x 14" 16" x 20" 20" x 24" 8" x 10"
This officially licensed color photograph pictures Mario Lemieux & Jaromir Jagr of the Pittsburgh Penguins. Photo features official NHL and NHLPA logos as well as individually numbered NHL Licensing Hologram. This is not a mass produced copy. It was made in a custom photographic lab, not on a printing press.